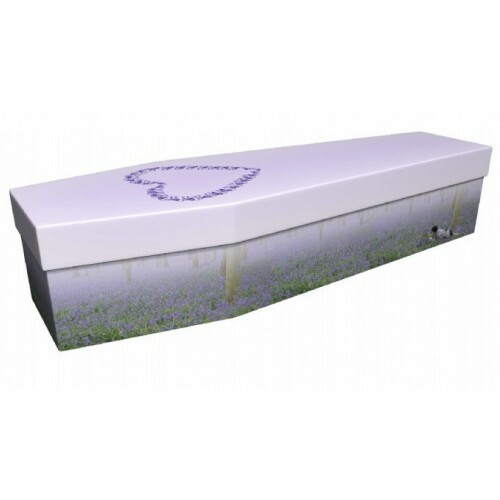 The Bluebell Valley cardboard coffin is a Earth Friendly coffin and comes fully lined with a base and handles. This beautiful pictured coffin displays a large bluebell heart on the lid. This is for the loved one who loved been in touch with natures beauty. This stunning coffin comes in 3 sizes.